A few images from Limerick today as in was in the city for a few hours. A couple of pictures from around the Killarney area. 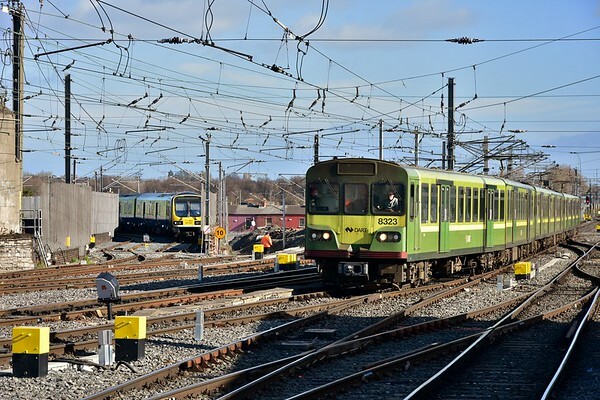 A varied selection of images today comes from Rosskelton to see the 3+5ICR on the 1000 Heuston - Cork, Portlaoise with 079 arriving from Carlow with an empty materials train and Limerick Jct. to see the latest progress on the new Down Platform there . I had business in Dublin on Friday afternoon so once that was out of the way I went over to Pearse to see the recent developments there with the roof renewal. After sampling the 1641 GCD - Hazelhatch service between Pearse and Parkwest (most seats in the carriage I was in were occupied), I doubled back to Heuston on the 1625 Portlaoise - Heuston to catch the 1800 Heuston - Cork to Ballybrophy for the Nenagh branch connection. An interesting, if a little convoluted way of getting across the city. - Portarlington. 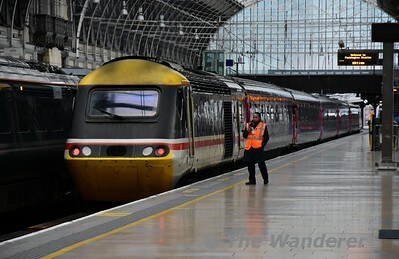 Includes Belmond liveried 216 passing on a Cork service. - Athlone where we passed retro Irish Rail liveried 073 on the North Wall bound IWT liner. - Limerick, including images of the disused Foynes / Cement Factory Siding. A few pictures of the new pontoon at Ballina, Co. Tipperary recently installed by Waterways Ireland. Pictures today come from Kildare, Portarlington and Athlone. Pictures today come from Killonan Jct. and locations on the Nenagh Branch between Lisnagry and Nenagh with a mini-chase of the 1655 Limerick - Ballybrophy. Before heading into the famous Larkins Pub at Garrykennedy Harbour for some Sunday Lunch I took a stroll around the harbour. 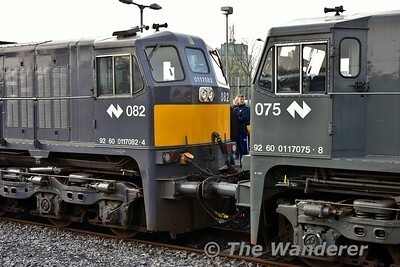 Just one image today from Limerick where TRV 700 was stabled after earlier working from Kildare via Athenry. I was in Dublin this afternoon and as I was waiting around to attend the IRRS Library evening, I did some travelling around during the evening peak to observe operations. - Phoenix Park Tunnel (includes 234 on the IWT liner, Connolly - Heuston - Connolly ICR transfer and off peak Grand Canal Dock services). Today's pictures come from Portlaoise and Limerick Jct. An early start this morning to travel to Dublin from Thurles for another Institution of Railway Operators tutorial at Connolly Station. 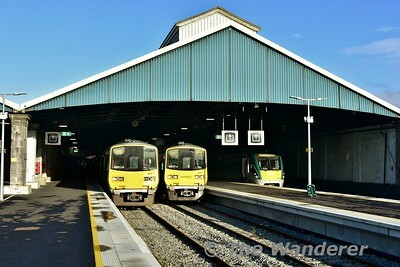 Pictures come from Heuston, Connolly, Broombridge and Abbey Street. Limerick Station on the evening of Wednesday 27th February sees Track Recording Car 700 stabled for the night. Pictures from this morning come from Ballybrophy and Portlaoise.